You can cut these costs by outsourcing the Tax Return data Processing to us and eliminate the need to spend money on that non-core business function. BPM can provide you with expert bookkeeping service for your truckers bookkeeping and tax returns processing needs for an affordable fixed fee. With BPM tax-processing and tax preparation outsourcing services, you will eliminate the need to handle the tax preparation workload. Put BPM Tax Data Processing service to work for your business and benefit from increased profits combined with lower tax time costs! The process of preparing tax returns begins with our accountant or bookkeeper client, sending us the data capture ready data or documents. However, if we are the truckers bookkeeping process management service provider, we will have the accountants review tax filing data ready and can begin the tax reporting process as soon as authorized by or client accountant. 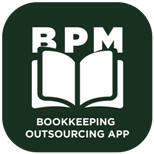 The BPM team will then enter the data into the DT Max tax software. After the data process is complete, the resulting tax returns are audited to ensure that the information received from accountants are correctly entered. Following the audit of the return, the tax returns are uploaded to the client accountant or bookkeeper for review. 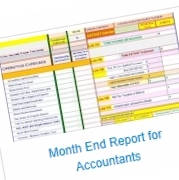 If there are any edits or addition of information required, the returns are updated, and the completed returns are sent to our client accountant by secure upload for distribution to their clients. With GST/HST tax return filings after these returns are processed, with approval of our client accountant following the review of these return, client accountants can delegate the Net-File process to us. This way, we will Net-File the returns and send our client accountants the tax return filed confirmation for their file. Our tax preparation data capture team has been trained on DT Max T1 and Personal Tax Software and DT Max T2 Corporate Tax Software. Our services ensure that all your tax compliance workload is handled in the most efficient manner. Copyright © 2008-2018 BPM Outsourcing, All Rights Reserved.